Once in a while, KLM will offer free personalized luggage tag. I have missed the chance all these while but managed to catch this round of free luggage tags this time. This round of luggage tag freebies is more than just free tags. By creating your own luggage tags, you will also stand a chance to win an iPad. Yeah, you heard me right. A free iPad! Who cares if this is the 1st generation iPad as long as it’s free, right? Click on the link that I have provided at the top of this post, create your own luggage tag and then get your friends, family and dog to vote for your tag! The most votes win! Yahoo! This entry was posted in Contests and tagged Appe iPad, iPad on March 10, 2011 by Cyberpartygal. I came across this contest by chance. 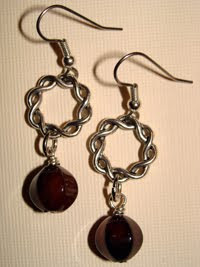 It’s a very simple blog contest where there is only one prize given away: a pair of agate drop earrings. This contest looks like it’s available internationally, though it’s not stated. In cases like these, I say, no harm trying! What you need to do is just leave a comment stating why you like stone jewelry. Provide your name and valid email address. 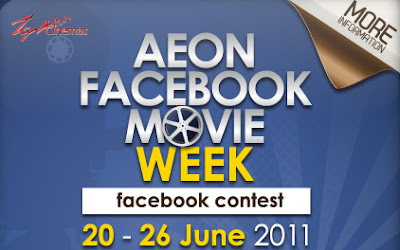 Contest ends on 31st March, 2011. A winner will be picked randomly. The winner will have to respond quickly with his/her delivery address, failing which a second winner will be selected. This entry was posted in Contests and tagged blog contest, earrings, stone jewelry, Stone Jewelry Box on March 6, 2011 by Cyberpartygal. I came across this t-shirt contest just this morning. To say that it’s a “t-shirt contest” is not that accurate because there are five prizes up for grabs; 4 t-shirts and one tote bag. What you need to do is to select the prize you would like to win and then leave a comment on the blog post and share why you would like to win the prize. According to the blog post, you need to be creative. Sigh, that’s why I didn’t participate! If you are creative with words, this is a good chance to try to win one of the prizes. Contest ends 1st February, 2011. Plenty of time, so put on your thinking caps! This entry was posted in Contests and tagged free t-shirts, free tote bag, free tshirts, t-shirt contest, t-shirt giveaway, tshirt contest, tshirt giveaway on January 18, 2011 by Cyberpartygal. I came across this contest which I think is fairly easy to win but of course, one must act quickly. This contest is by MasterJobs.com, a website that encourages people to write reviews of their jobs, their employers, workplace, etc. You get my drift. To win, all you need to do is write a review of your job, post it on Facebook and get 50 of your friends to “Like” it. 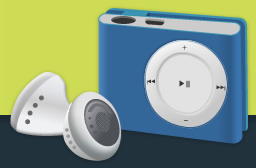 There are ten mini clip MP3 players to be won per week, so get your review up as quickly as possible and bribe your friends to “Like” the post, even if they don’t! I have no idea when this contest will expire but the faster you act, the greater your chance of winning. You do want to win a free MP3 player, don’t you? 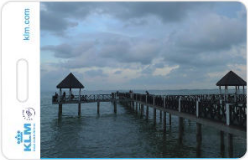 This entry was posted in Contests and tagged free MP3 player, mp3, MP3 player on October 25, 2010 by Cyberpartygal. My friend, who is getting married later this year, tipped me off about this contest where we stand to win a copy of Las Vegas Bride magazine. This means that f you are not getting married any time soon, you shouldn’t request for a cop. Just take a look at the form that we are required to fill out and submit, you will understand what I mean! However, if you are planning a wedding soon, this is probably a good magazine to read, for the ideas, if anything. Doesn’t necessarily mean that you must get married in Las Vegas! I like it that readers who are interested to win a Las Vegas Bride magazine will only have to send in an entry once. It will be automatically entered into ALL contests that Las Vegas bride runs. Awesome, isn’t it? This entry was posted in Contests and tagged free magazine, Las Vegas, Las Vegas Bride, magazine, win magazine on August 27, 2010 by Cyberpartygal. If you are a fan of Iggy & the Stooges, then good news to you. These guys are running a very interesting video contest where participants will have to shoot a video of themselves asking Iggy & the Stooges a question about Raw Power. Since this is a video contest, do read submission rules first regarding file format, length and what not. Submit it and Iggy & the Stooges will select six winners to film their concert at All Tomorrow’s Parties in Monticello, New York on 3rd September, 2010! This sounds like a once in a lifetime opportunity for fans but do bear in mind that winners will have to bear their own expenses. Let me know how this goes for you! And good luck! This entry was posted in Contests and tagged concert, fan contest, Iggy, Stooges, video contest on August 15, 2010 by Cyberpartygal.